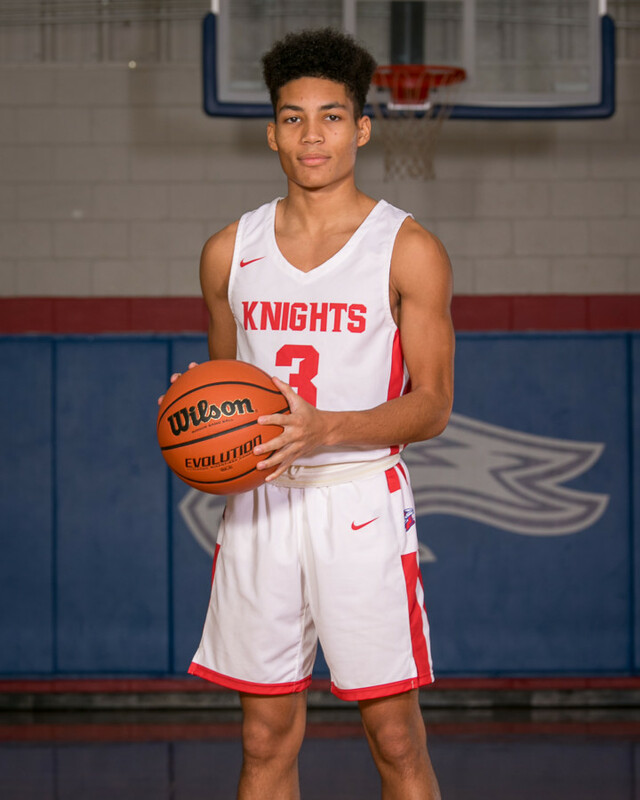 Following up on back-to-back state titles is tough to do, and add to that a move to the AAA division, the Varsity Boys finished their season 12-16. 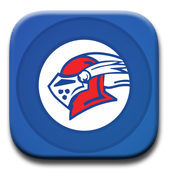 Playing the toughest schedule in the AISA , the Knights lost 6 games to out-of-state teams and 5 games by 5 points or less. In a rebuilding year for the program, the team showed a lot of growth throughout the season, but ended their run in the first round of playoffs. Making yet another appearance in the Elite 8, the Varsity Girls fell to Ft. Dale 56-40. 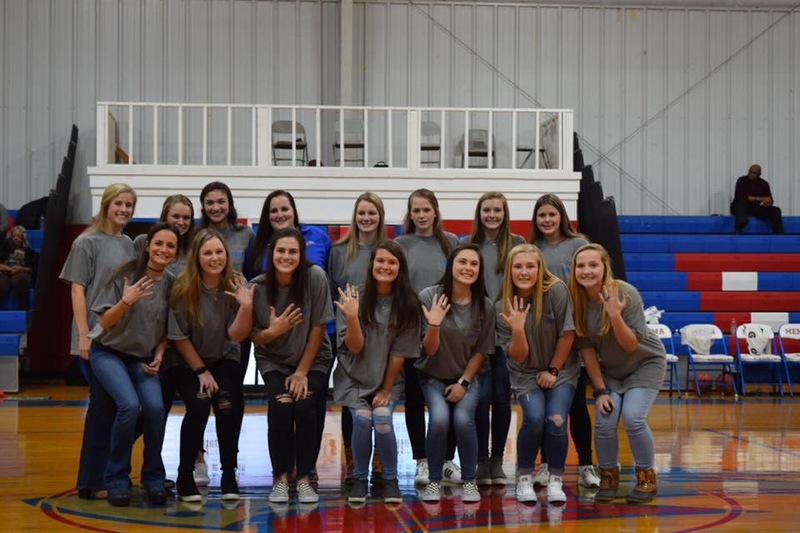 Also moving up to AAA competition, the Lady Knights had an overall 13-10 season. Team leader, Madisyn Kennedy ended her season with 24 points in the final game. The team loses just two starters for next year. Madisyn Kennedy and Kerion Taylor, who led their teams in scoring this season, represented Macon East in the AISA senior All-Star games on February 22. The East girls team defeated the West 68-65, and the East boys fell to the West 78-83. Congratulations to Madisyn and Kerion on their selection as All-Stars! Macon East cheerleaders, Annslie Gourlay and Sarah Krasnowiecki also participated as All-Stars. The annual Art Show is a time for students in kindergarten through 12th grade to display their achievements in visual arts. Throughout the year, Mrs. Tiffany Ala’s art students create a variety of art projects using the mediums of paint, water base, printmaking, drawing, 3D, mixed media, and collage. Entries in photography taken outside of the classroom can also be submitted for the show. Following judging by local artists, awards were given for 1st, 2nd, 3rd place and honorable mention. 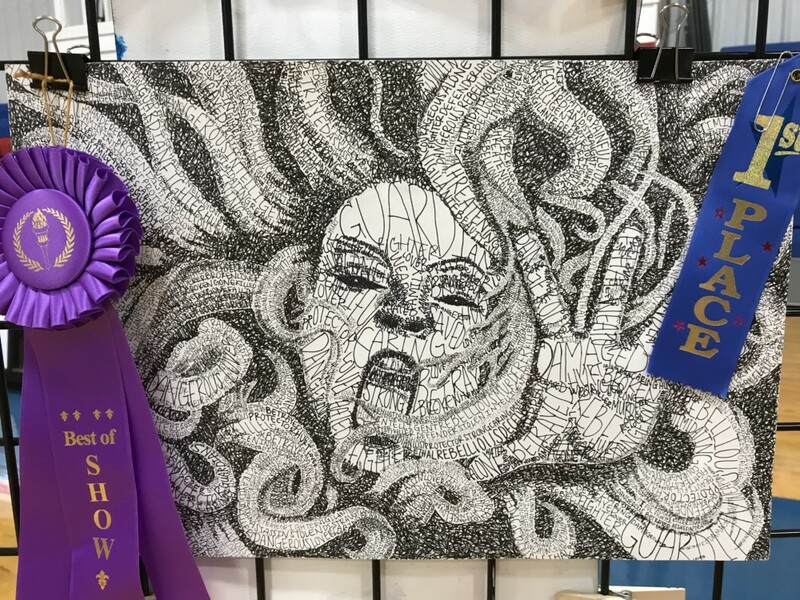 Six students were honored as the Best of Show in their age division. First and second place winners were presented at the AISA District Art Show, March 1, hosted by Edgewood Academy. 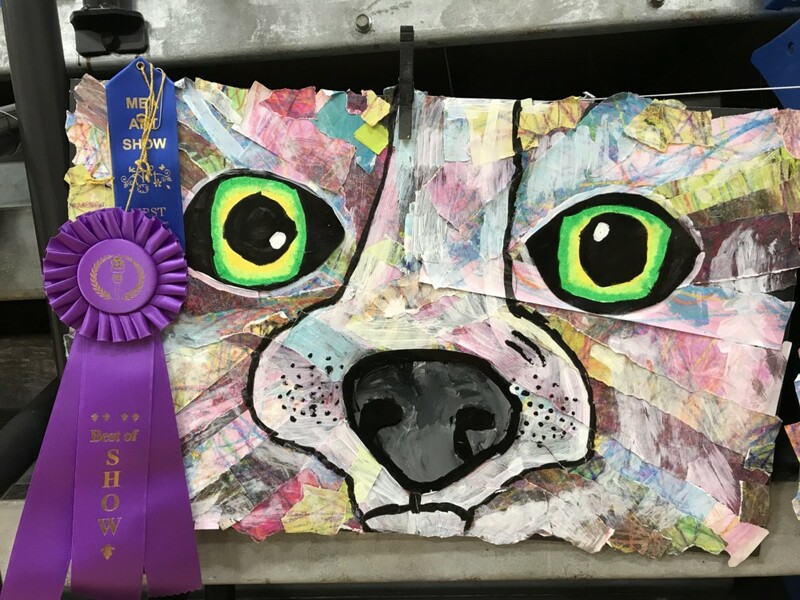 Macon East artists received 22 ribbons at District (4 – 1st place, 6 – 2nd place, 4 – 3rd place, and 7 – Honorable Mention). Five students’ artwork will advance to the State Art Show on April 17 at AUM. 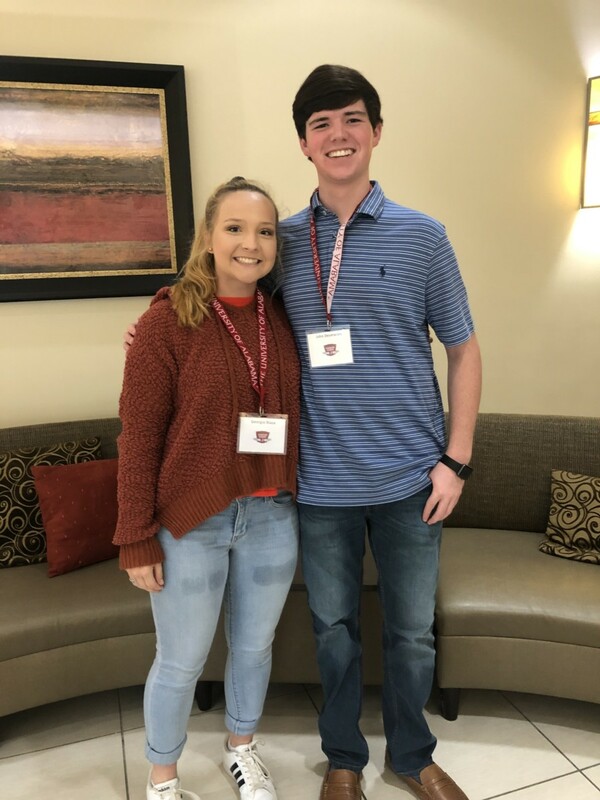 The Capstone Leadership Academy at the University of Alabama is a two-day event for select sophomores from across Alabama who have shown an interest in leadership through service. The purpose of the event, which features dynamic speakers and group activities, is to give students the tools and the training to apply their leadership skills to opportunities in their own communities. 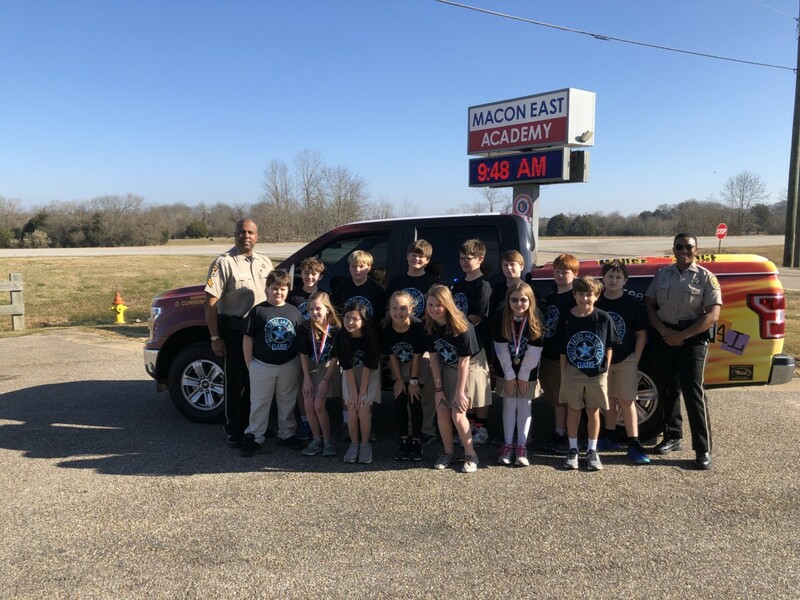 Three outstanding sophomores from Macon East Academy were invited to attend this year’s academy – Georgia Blaze, Will Desmarais, and Jonathan Mathis (unable to attend). Hosted by the Capstone Council and Honors College, the theme of the academy is Values, Vision, and Voice. Along with leadership lectures, Georgia and Will enjoyed a campus and stadium tour, group activities, and participating in a service project. 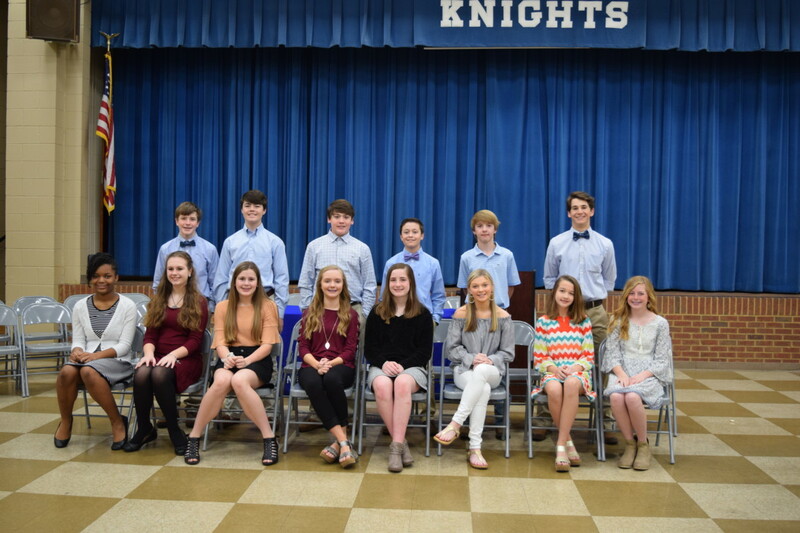 The Macon East chapter of the National Junior Honor Society inducted 14 new members at a ceremony held February 28. The ideals of the society, Scholarship, Service, Leadership, and Character, were presented by this year’s NJHS officers: McKinnon Hammonds (President), Trey Matthews (Vice-president), Jay Moore (Secretary/Treasurer), and Allison Churchwell (Chaplain). Members of the NJHS must maintain a 3.5 overall grade point average and be in good standing in all areas of school life. This year’s new members are: Jameson Byrom, Kaiden Byrom, Sara Cochran, Pressley Graham, Jack Jones, Alison Magda, Ryann Moseley, Dalton Nickels, Luke Noffsinger, Jaden Rossell, Kacy Rutland, Barrett Spaeth, Tanner Surles, and Anna Watson. Visiting Wesley Gardens retirement community at Valentine’s has become a Macon East tradition. The K 5- 6th grade classes presented a program to the residents themed “Thankfulness and Love” using Bible verses and Christian songs. 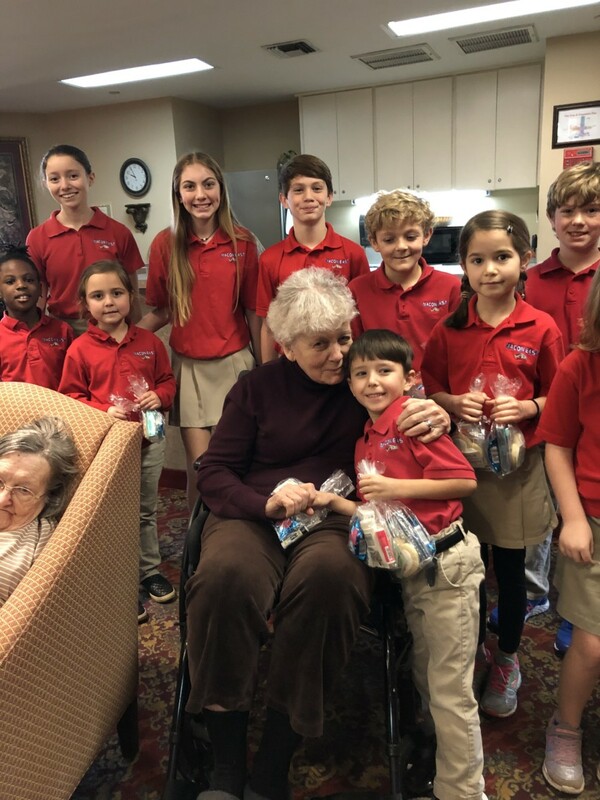 Students enjoyed visiting with the elderly residents, and each one recieved a treat bag filled with Valentine cookies and personal care items. 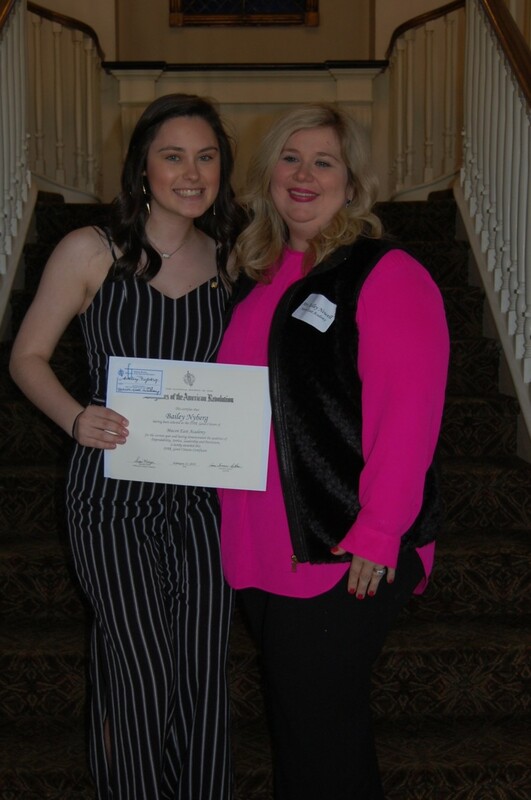 Bailey Nyberg was honored as one of this year’s recipients of the Good Citizen Award presented by a local chapter of the Daughters of the American Revolution. Bailey and the other award recipients attended a luncheon held in their honor at the Montgomery Country Club. The DAR Good Citizens Award and Scholarship Contest, created in 1934, is intended to encourage and reward the qualities of good citizenship. This award recognizes and rewards individuals who possess the qualities of dependability, service, leadership, and patriotism in their homes, schools, and communities. These students are selected by their teachers because they demonstrate these qualities to an outstanding degree. 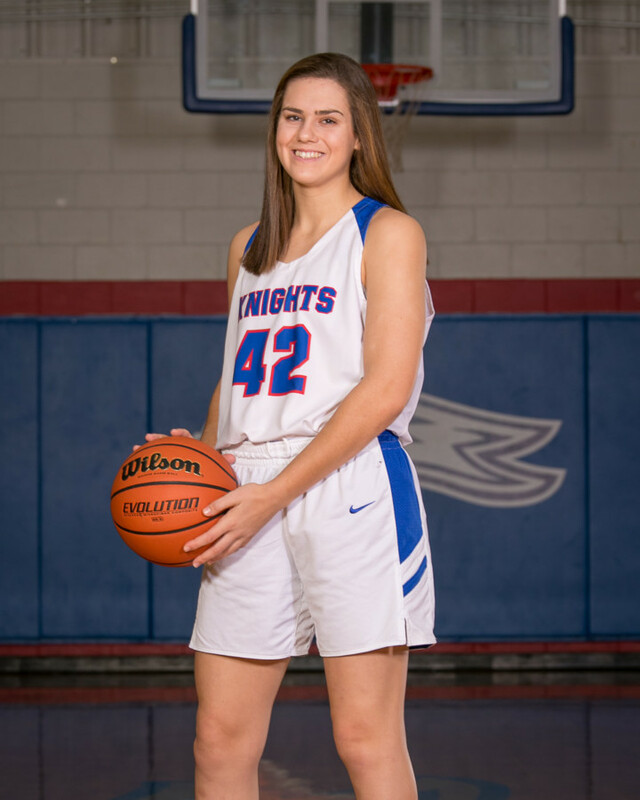 We congratulate Bailey on her selection as the Macon East Academy representative. 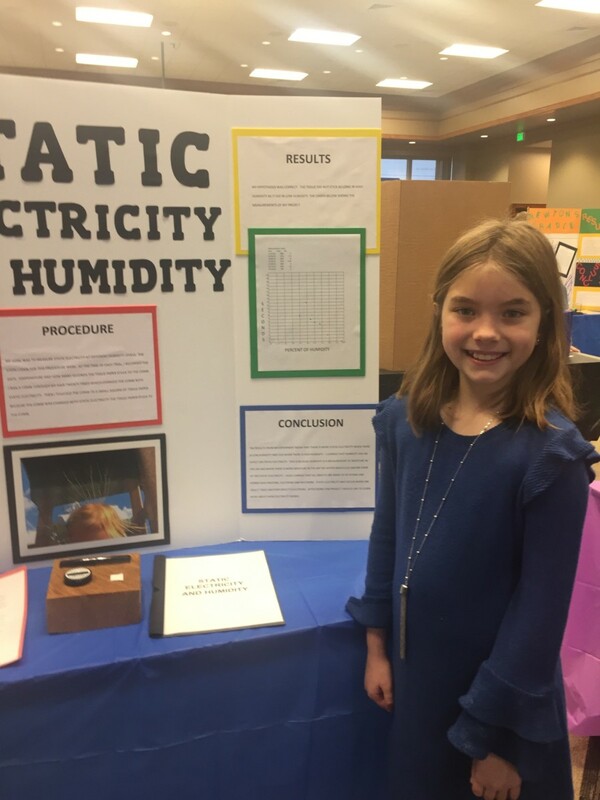 Each year students in grades 4 through 6 participate in the Science Fair. With projects in either the biological or physical categories, each student must complete an essay paper, project display board, and accompanying experiment and results. Outside judges evaluate each project based on purpose, hypothesis, procedure, and results. Awards for 1st, 2nd, 3rd place and honorable mention are awarded to students in each grade and category. Six students (Lalah Culpepper, Colton Lunn, Marissa Robledo, Shamiah Thomas, Peyton Underwood, and Madison Vocino) participated in the AISA District Science Fair. Macon East students proudly took 3 of the 6 awards presented at District and advanced to the State Science Fair on February 1. 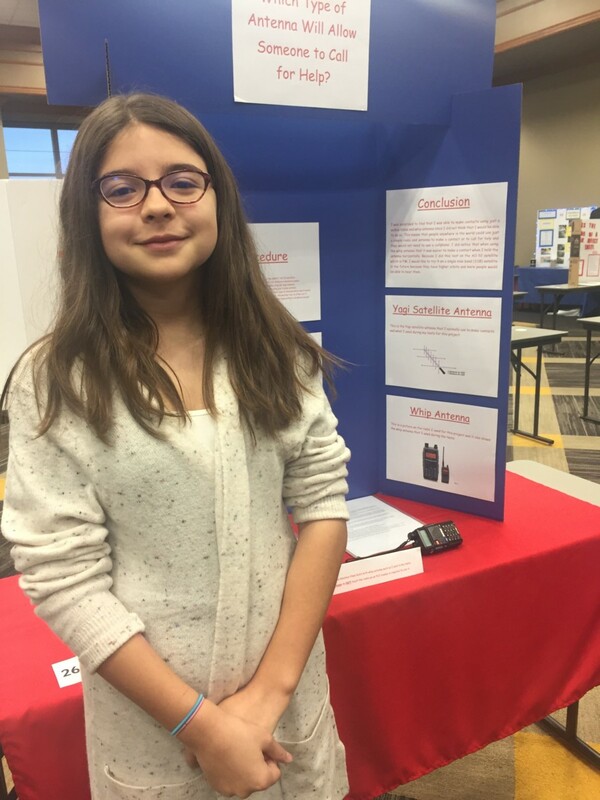 Madison Vocino received a 1st place ribbon at district for her biological project “Static Electricity and Humidity.” Colton Lunn’s “Toungue-Tastic” entry took 2nd place at district, while Marissa Robledo’s physical science project “Which Type of Antenna Will Allow Someone to Call for Help” earned a 3rd place ribbon. We congratulate these outstanding winners and all of our science fair participants on the hard work that was put into each project and essay. 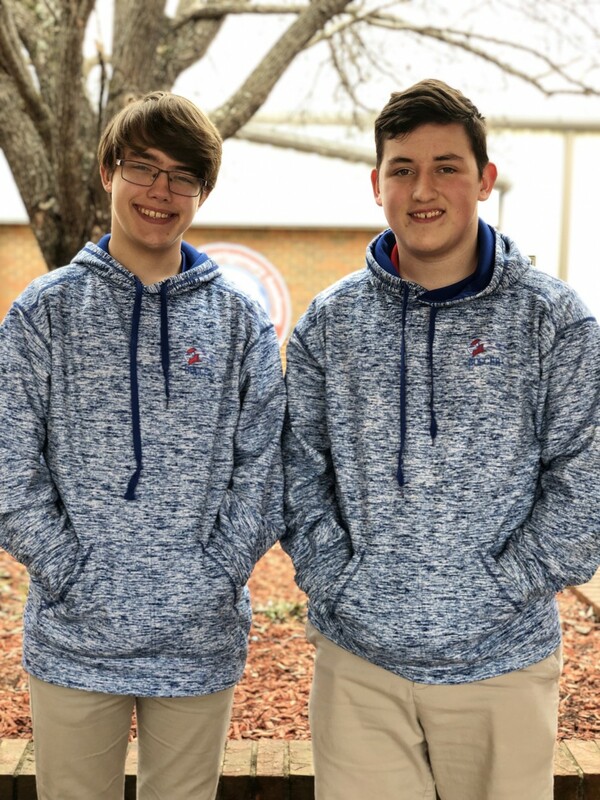 Jonathan Mathis and Lane Johnson were selected to the All-State Drama Cast at the AISA State Drama competition. Rachel Sargent, Lane Johnson, Emily Brooks, Caroline Capps, Johnny Mathis, Anna Claire Berrey, Jaden Rossell and Ethan Jones participated in an ensemble performance from “The Crucible” by Arthur Miller. The cast won 3rd at the AISA District Drama Competition to advance to the AISA State Drama Competition in January. The Macon East Drama Club is led by Rayleen Luis.